Content strategist Clinton Forry speaks with Kristina about his experience working with clients as the vice president of content strategy at Weber Shandwick, a major PR and advertising firm. They also look back on the early days of content strategy and reflect on where the practice is today. Clinton Forry is a content strategist and writer who has been working in content in one form or another since 1996. Currently, he is the vice president of content strategy at Weber Shandwick, a major PR and advertising firm in Minneapolis, Minnesota. There he specializes in enterprise and digital content strategy for major clients including Union Pacific, State Farm, the U.S. Department of Treasury, and Royal Caribbean Cruise Lines. He is the founder of Content-ment.com, an informative blog with over 200 posts on digital media and other content-related topics. Follow him on Twitter at @wd45. Kristina: Hello again. Welcome to The Content Strategy Podcast. I'm your host, Kristina Halvorson. 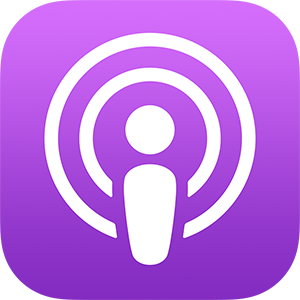 This podcast is brought to you by ContentStrategy.com and Brain Traffic, a content strategy consultancy. Find out more about Brain Traffic at BrainTraffic.com. Hello and welcome back to The Content Strategy Podcast. I am your host, Kristina Halvorson, which I believe I already said in the intro so now you know me twice. Here with me today I have a dear friend and esteemed colleague, Mr. Clinton Forry. 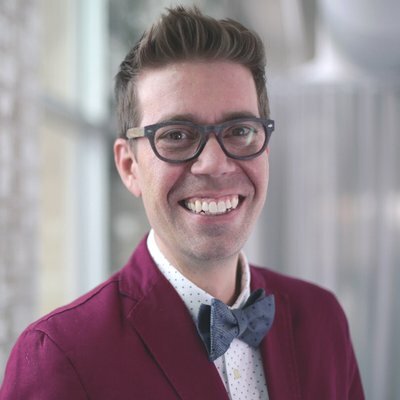 Clinton is the vice president of content strategy at Weber Shandwick, a PR and advertising, marketing, all things digital agency here in Minneapolis. I'm sure that that's exactly how you talk about it at Weber Shandwick. Is that correct? Kristina: All you needed to do was contact me for your elevator pitch. I would have given it to you for $5. It's right there. Clinton: Seems like a good price and a good pitch. Kristina: Thank you, that's why I get paid the big bucks. Clinton, how are you? Clinton: I'm good, I'm good. Kristina: Good. We've been trying to get this podcast together for several weeks, so I appreciate your patience as my children have been down for the count over and over and over again. Today, they happen to be healthy, so here we are. Clinton: I'm so glad to hear it. Here we are. Kristina: Thank you. Parenting, am I right? Kristina: I know, I know. Clinton, tell me a little bit about what you do at Weber Shandwick, will you please? Clinton: Sure. What I do at Weber Shandwick is all things content strategy. I get brought in on projects where there's a clear need for the thing it is that I do. In the past ... How does that sound? Clinton: Yeah, in a nutshell, that's it. Thanks for having me on the podcast. Kristina: Yeah, good, moving on. Tell me about how, when you guys talk about content strategy at Weber Shandwick, what is it that you're describing? Clinton: It's the place in between user experience and editorial strategy. That's where I've been able to carve out a little place for myself within the organization. My fabulous colleague, Amanda St. Clair, brought me in on some work with one of our major clients, it's probably been a couple years ago now. What she said in asking me to work on this client was music to my ears. She said, "I know that we're doing some of this stuff when it comes to developing websites for the brands that this client has, but there's a piece missing." We've got a really great editorial team, some great writers on staff, we've got some SEO resources, they seem to be on top of things, love to work with them, but there's something missing. The thing that ties all of these elements together and brings a certain degree of empathy to the whole situation. I came to the project, started working on it, and five brands later with that client and we're still moving right along. I chalk it up to a few things. One is we've got a great team of people that are really open to collaboration, and I think that's key to the whole process. I go in and I say, "I'm the content strategist here, you're the user experience team and you're the writers. We all have our areas of expertise.” However, I'm willing to go in and say if you've got a content strategy-related idea or a way of positioning things or a way of thinking about things from my perspective, I'm all ears. I feel that's gotten us a long way. It seems like that level, that model of collaboration is something that I'm going to bring to every project that I take on in the future. Kristina: You know, that's so great because what I often say about content strategists is that our super power is connecting the dots between separate but very closely related disciplines, where maybe priorities are different or the lexicon that they use to describe different processes and outcomes may be different, and that it is our job to sort of help people find common ground and then plug in those gaps when it comes to making smart choices around prioritizing and kind of systematizing content. Clinton: Yeah, and you used a word there that I use all the time, which is gaps. It started a long time ago and we've formalized it in some of the deliverables that we provide to clients, is figuring out what these gaps are, the gaps between what you're currently doing, what you want to be doing, what your competition is doing, what people actually want. Kristina: Right, and you know, we were reminiscing before we started recording here about a little diagram that you put together low these many years ago that you are using to this day. Can you kind of give us a description of that diagram? Clinton: I sure can. It's a Venn diagram. Everybody loves a Venn diagram. Kristina: Are you using a lot of hand gestures? Clinton: It's too bad this is not a video podcast, because my hands are moving about wildly and it's so helpful to me and the cats who are also here watching me. Kristina: Okay, so this diagram that you use to describe content strategy, tell me all about it. Clinton: All about it. Well, it starts with my own definition of content strategy that I use with clients, which is content strategy helps align an organization's goals with audience expectations via sustainable online content. There's three parts in there, and each one of those parts has a sphere in this Venn diagram, so there's three spheres here. It's an organization's goals, this is the things that you need to do. As an organization, you need to meet your user's needs, you need to meet your own business goals­—if you're selling something you need to sell more of it, you need to reach more people, you need to raise awareness, etc.—the last thing that you need to do is you need to have some level of parity with your competitors or with other people seeking that share of attention out there in the world. That's the first sphere, the things that you need, the organization's goals. The second is audience expectations. I like to say expectations instead of needs in this situation, because an audience member, a visitor to your website is coming to you with a need, they need to accomplish something. There's a task that they need to do, they want to be entertained, a whole list of things can fall into that category. They also have an expectation that you're not going to make them miserable while they're trying to accomplish that task. That's why I say expectations, it kind of encompasses both parts of that. Kristina: You know what's hilarious, is I would argue that audiences in fact do expect that they're going to be miserable in completing many a-tasks online, but I digress. Proceed. Clinton: I know, right? I go to some websites and I think, "This is going to be terrible." Kristina: Oh, I have to renew my kids' passports and my eyeballs were bleeding before I even logged on. Clinton: Or your driver's license. Clinton: Or renewing your license plates, oh, it's the worst. Clinton: Anyway, yes, side bar. Kristina: I am good for it. I am the peanut gallery. You are the guest, I am the peanut gallery. That's how this podcast works. Kristina: All right, go ahead. Clinton: The second sphere, the audience expectations, the things that people want. They want things that are clear and simple. They want answers to their questions. They want all that to come from someone who is trustworthy. That's pretty much across the board, trust and communication. We're hearing this in the news, trust, communications. I like to include that point there. Imagine those two spheres are overlapping. Now there's a third one, and that's the things that you can create, the sustainable online content. I like to say sustainable here in thinking of, how are we able to keep this activity going over the long term? If you're trying to do too much all at once with a small staff, few resources, it's going to burn people out and bad things are going to happen. I just know it. Then the other point here is the things that you can create, they need to be persona-based, this is very important, as well as data-informed. I like to think that the data that you have should also inform the personas that you create as well. The overlap of all three, imagine all three of these things overlapping; what you need, what people want, and what you can create. Right there in the middle, that's the key. That's where the most efficient and effective online content is going to happen. Kristina: I love all these things. Say one more time for me, because it is music to my ears, your definition of content strategy. Say it one more time. Clinton: One more time, for the people in the back. Content strategy helps align an organization's goals with audience expectations via sustainable online content. Kristina: I think I've said this to you before, but at Brain Traffic we still kind of fall back on the definition that we introduced in Content Strategy for the Web in 2009, which is that content strategy guides the creation, delivery, and governance of useful, usable content. I think that there are some parallels between those two definitions. They certainly do not cancel or contradict one another, but I just love the way that you have so carefully and skillfully crafted that to really get at the alignment and the goals. I also now, because you used the word expectations, I regularly talk about audience needs and expectations for all the reasons that you just described. I'm here to give you kudos on the thinking that you've done around this topic, because I think that it continues to sort of shape, you know, whether or not people know that this thinking came from you these many years ago, I think it continues to kind of shape conversation. I'm especially interested and excited about the parallels between what you're describing and content design movement or discipline that's kind of been established in the UK that's coming over to the states more and more by Sara Richards, who was the team lead on the content strategy for GOV.UK, which as has been established, is like, the Holy Grail of content strategists everywhere. One of the words that I especially like in your definition is the word align, because I find is that as content strategists, a lot of the work that we do does kind of center around the alignment, not only of organizational goals and audience expectations, but also around prioritizations and processes that exist internally as we're working towards these positive content outcomes. In the project process overall, tell me where you see pain points typically flaring. Clinton: Thinking about the pain points that come up, sometimes if we're handed a set of data and that data says these are the realities that you have to address and you have to deal with. Say, for example, if it's some search insight data that says people are searching for A, B, and C, and these are the highest opportunities that we see out there. What our job as content strategists a lot of the time is to work with, not only the editorial team but also with the UX team to incorporate that as an input. It just goes to show that inputs like this aren't all-knowing, all-seeing things. They're things that we use to inform the work that we end up doing. Kristina: What do you think is behind that thinking? Clinton: I think it boils down to how we've elevated data to a certain level without considering the human aspect of it. If we're looking at an aggregated set of data, whether it's search or some other sort of data input, something gets lost in the translation between what shows up in the data and what makes a good human design centered approach to doing things. I feel like a filter part of the time, taking these things and letting the good stuff come through that's relevant to the project that's going to make sense for the business, for them to make a page on their website that addresses maybe some of what they're trying to get at with the data. One way to mitigate this is, if you've got carefully constructed personas that are also informed by data, you can point back to those pretty regularly and say, "Well yeah, that term is out there and people are searching for it, but that's not what the user journey of our personas says that they're going to be searching for, or they're going to try to accomplish." Kristina: Yeah, I find that a lot of times if we are working with organizations and they're like, "Oh, we have user personas," that the personas have been crafted a lot around assumptions or around very generic industry research versus, here are the people who want to work with us or who are our customers already or who we've lost as customers versus actual people who are engaged with them, so agreed. Clinton: Yeah, team persona over here. Kristina: That's not a thing. Clinton: I heard someone talk about personas as an MVP, a minimum viable persona, which is to say that you need to have at least some grounding in a persona in order to proceed with the work in an effective way moving forward. I know I talk about research, in some cases with some clients, budgets are going to be small, research just isn't going to be in there, but there are aspects that you can start to construct. Even if it's not a fully fleshed out persona, it can guide part of the experience along the way if you're mapping out that user journey at the very least, just to keep the train on the tracks, so to speak. Kristina: Say, I want to switch gears a little bit to talk about the content strategy community. Kristina: I know, hugs. I want to do that because you and I were sort of there at the very, very early stages of when we were all kind of starting to find each other. Do you remember how you and I met in the first place? Clinton: I do, yes. You were speaking at a MIMA event, the Minnesota Interactive Marketing Association, the local group we have here in the Twin Cities, a fabulous group for anyone involved in marketing and so on. Whatever you were saying up there, I think this was before the book came out, and you presented something and it just connected with what I was doing at the time. I thought, "I need to go talk to this person," so I went up and stood in the line, and that was the first time we met. Kristina: Tell me what you remember about, just for fun, tell me what you remember kind of about those early days when we were all starting to come out from under our hidey holes and find each other. Kristina: That would be Content Strategy for the Web, not everyone listening to this podcast is like, "The Book." Clinton: Capital The, capital Book. Kristina: Yeah, that's right, exactly. That's great. Clinton: I was reading your book, Content Strategy for the Web, and it hit me all of a sudden, like, "Oh, this is a thing that I do." I had a number of titles before that. I had been doing all of these kind of connected things, and it was such a revelation to be introduced to this term that described completely the thing that you were doing. It's hard to describe just knowing that there's a community out there that's having the same issues and encountering the same challenges, and trying to build a collective knowledge around this brand new thing that it felt like was happening. I do think it was a new thing at the time. There had been other authors writing about this, there had been other conversations around it, but I feel like this was the moment in time where everything really sort of came together, and the community came together around it as well. Kristina: Yeah, and I credit the rise of LinkedIn and Twitter. You know, right around that 2007, 2008 timeframe when we all really were sort of discovering the term. I remember that the first time I ever saw it was Rachel Lovinger's post, Content Strategy and the Philosophy of Data, which came out in December of 2007. I had that like, "This is what I do, this is the thing that I do, this is real." I had that moment, and I think it's so exciting to kind of see, I mean, even at Confab, our content strategy conference, we see people having that revelation now 10 years later. I really appreciate the early work that you did in that conversation. Clinton: It's always fun at the Confab conference to see people have that light bulb go off, like, "Oh my gosh, these are my people," and to know that that's still happening, having the same experience that I did that one day riding the bus is, it puts a smile on my face. I'll admit it. Kristina: Well, I think there is a part of me that worried, "Oh, this it's going to lose steam because everybody's figured it out." I'm just realizing it's never going to lose steam. This is going to be a conversation that content strategists are going to recognize their true identities of years to come and it's going to continue to be excellent. Clinton: Let me add one more thing on top of that, and that's to say that part of what made it such a Wild West feeling at the time was that a lot of people may have been thinking a lot of these things, working through some of these problems, but it felt like with Rachel's piece, your piece in A List Apart, was it? Kristina: No, it's very, very true. That's where a lot of people who started out with blog posts have since gone on to speak and write books and found departments within their organizations, I think that's really true. It was an exciting time. Clinton: Those were the days when Twitter was so much fun. Kristina: Those were the days. Now it's terrible. Today is terrible. Hey, so I have one last question for you. Kristina: When you think about sort of the challenges of content, the future of your content strategy organization, you know, wherever it is that your brain wanders, if something were to kind of keep you up at night about problems yet to be solved or problems down the road or things you don't know about yet, or whatever that is, what would that be? Clinton: I'm able to sleep well at night because I've been around this stuff long enough in one form or another since 2000, and all these many years later, these common threads keep coming up. That's, we're helping to solve problems, to facilitate tasks and to get people the answers they need. It doesn't matter what sort of technology we're using, whether it's blog posts being the thing of a few years ago being more popular, to artificial intelligence or voice interaction today. We're all doing the same thing. I'm not worried about the next thing around the corner, as long as I'm here to remain open and take an empathetic approach, and really just remember that we're focusing on people. That's how I'm sleeping at night. Kristina: You are, like, the Buddha of content strategy, is what it amounts to. You are a bow-tie-wearing Buddha, and I appreciate you. Clinton: That means a lot. Kristina: Hey, thank you so much for joining me today. This was lovely conversation and I hope that the rest of your week goes swimmingly. Clinton: Well, I certainly hope it will, and I hope the same for you. This has been a wonderful conversation. You've been listening to The Content Strategy Podcast. I'm your host, Kristina Halvorson. This podcast is brought to you by ContentStrategy.com and Brain Traffic, a content strategy consultancy. Find out more about Brain Traffic at, of course, BrainTraffic.com. Thanks, and we'll see you next time.